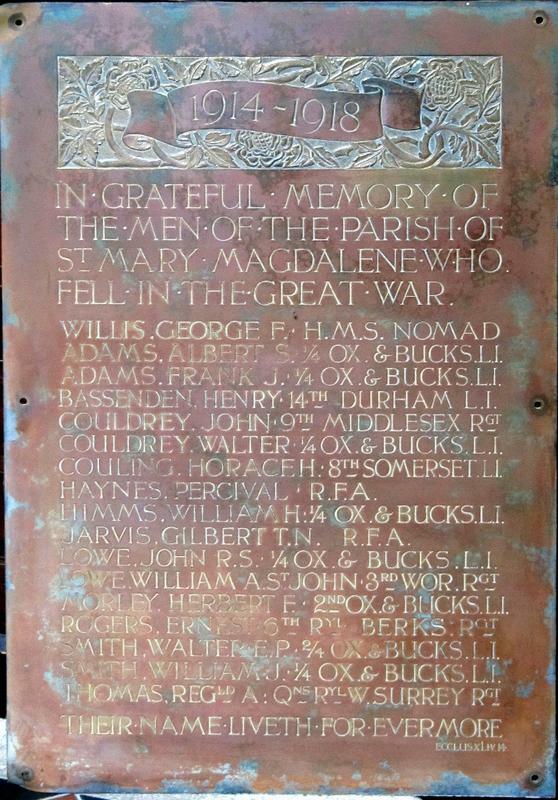 Rectangular plaque with WW1 date set on a foliate background at the top with the dedication below. 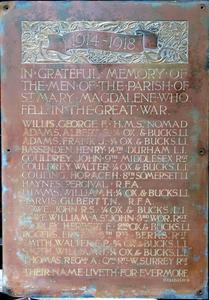 1914 - 1918/ IN GRATEFUL MEMORY OF/ THE MEN OF THE PARISH OF/ St MARY MAGDALENE WHO/ FELL IN THE GREAT WAR/ (Names)/ THEIR NAME LIVETH FOR EVERMORE. Information shown: Forename, surname, regiment.